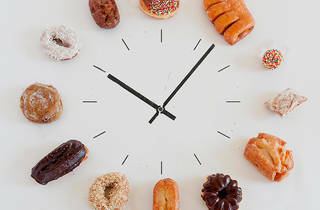 As The Clock screens across the way at LACMA, ForYourArt hosts its second 24-hour donut fest, with a curated selection of the sweet orbs selected by staff at LACMA. 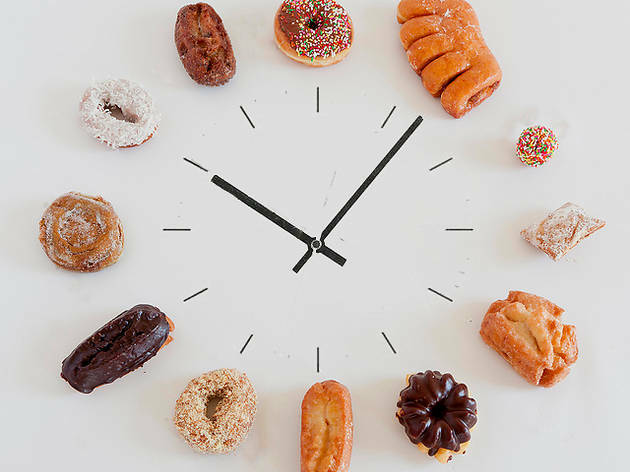 Though the reception coincides with the 24-hour screening, it also serves as a celebration of LA's strong donut culture, featuring picks from such donut palaces as Bob's Coffee & Donuts, Tang's Donuts, Winchell's Donut House and more. A different confection will be served every two hours, along with readings of two newly commissioned essays about The Clock. The event is free, but $5 gets you coffee, a mug and a much-welcome donation to the East of Borneo key collaborative online publication out of CalArts.